The Bukit Duabelas National Park in the province of Jambi is a relatively small park among Indonesia’s large national parks. Covering only 60,500 hectares, the Park was only recently established in the year 2000, mainly to allow the regrowth of secondary forests and to protect the home of the forest people known as the Kubu, sometimes called Suku Anak Dalam or orang Rimba. European anthropologists have called them Kubu bat since this is felt to be demeaning, tribe members call themselves Orang Rimba meaning People or Children of the Jungle. The northern part of the Park is primary jungle, but the remainder are tracts of land that were formerly deforested, or were production forests that have now been reforested and allowed to revert to tropical rainforests. The Park is in fact a most important water catchment area for the province. 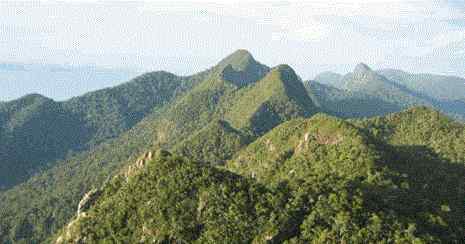 Bukit Duabelas, literally translated meaning the Twelve Hills, is a lowland park with undulating contours. This is the habitat of some of Sumatra’s endangered species including tapirs, gibbons, clouded leopards, sun bears, wild cats and crested serpent eagles. There are also endangered plant species. The Orang Rimba or otherwise known as the orang “Kubu”, are an isolated tribe who have lived within these jungles for years and have continued to live the simple life from nature. There are several theories and legends as to who they are and where they come from. One story relates that when the Sultan of Palembang (now South Sumatra) held continuous feuds with the Sultan of Jambi, the Jambi Sultan asked for help from the Sultan of Pagaruyung (now in the province of West Sumatra), who then sent soldiers to Jambi. On their way to Jambi a group of the Minangkabau soldiers lost their way in the dense jungles and never found their way out. They then established themselves here, living a simple life in the Jambi jungles. Another story says that the Kubu were pirates along the Indian Ocean, who sought refuge in these rainforests. Another ethnologist, however, believes that the Orang Rimba are Wedoids similar to those living in the southern Indian subcontinent, who can be identified by their tall posture, curly hair, rather dark skin and deep set eyes. These could have been soldiers, mercenaries paid by the Sultan of Jambi in the fight against the Sultan of Palembang, who have later stayed and settled in the territory. The Anak Dalam tribe lives in and from the forest, and survives chiefly on hunting, gathering, agriculture and fishing. Today, a number of travel agents in Jambi offer tours to visit the Anak Dalam of Jambi in the Bukit Duabelas National Park. To visit the Park one best stay two or three nights. There are no hotels in or near the park but there are simple lodgings available for visitors. To get to the Park, you must first fly to the province’s capital city, Jambi. There are regular flights from Jakarta, Medan and Batam to Jambi. The Park is some 180 km from Jambi’s airport, and it takes around 5 to 6 hours’ drive to reach the park. To enter the National Park, you must first have a permit from the Park’s authorities. Travel agents can obtain your permit, guide you through the Park and visit the village of the Anak Dalam.